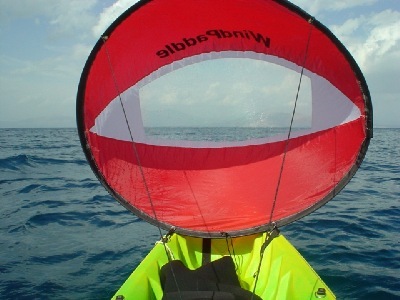 Here is a fun range of sails designed by sailors and paddlers for quick easy downwind sailing! Lightweight and quick to set up, you can experience the joy of effortless travel in seconds! There are two models of WindPaddle Sail: the Scout and Cruiser. They each operate in a similar way. The main difference is size. The standard size sail, the Scout, is easier to control when sailing and to fold and stow away, but the bigger Cruiser offers more power and speed. Needs no mast! Instead there is a perimeter batten that can be twisted and bent but still springs open to a circular shape, holding the sail open. The batten is sewn in, so the sail can be quickly and easily coiled into thirds for compact flat stowage. Easy to coil and stow! Packs small and flat. Rigging is minimal so you don't need a course to learn the ropes! Simply clip the sail to the standard fittings on your canoe or kayak, then control using the steering line. The ends of this line (sailors know it a "sheet") are attached to either side of the sail, so by moving your grip toward one end or the other you can adjust the sail to catch wind from one side of your craft, from behind, or from the other side. 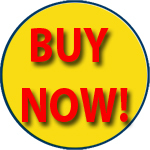 Made from low-stretch 1/2-ounce ripstop polyester spinnaker sailcloth, as used on racing yachts. This fabric does not absorb water or get heavy when wet. 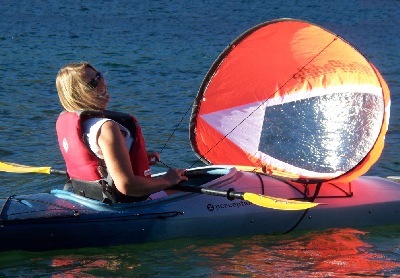 WindPaddle sails are sail-taped and sewn by a sail-maker. So you can see where you are steering, there is a large horizontal clear window in the center panel of the sail. A great entry-level sail to get you started in light winds! 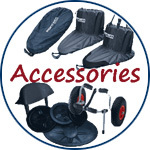 It's quick and easy to fold and stow away after use, and it's easy to control.The recommended choice if you are new to this, but tough enough to handle any winds you're likely to try. Connects simply to your existing deck (or rail) hardware. The 1-square-meter Scout now has a stiffer perimeter batten that results in better sail shape and great across the wind performance. The window size is increased by almost 75 percent for improved visibility. Yet the Scout still weighs only 14 oz, measures 15 inches in diameter when coiled flat, and flips open to 42 inch diameter when deployed. Target boat – Solo rec. 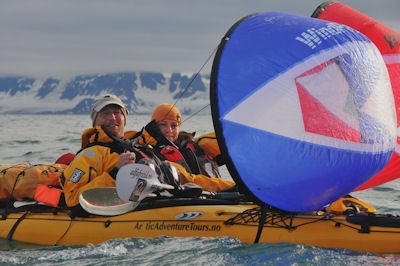 boat to Touring kayak, SOT 8 – 15 feet. Now comes with a 5 year manufacturers warranty! This is the workhorse of the series. for heavy hauling, like heading for home after a day fishing. so you need to be able to handle it. If in doubt, get used to the "Adventure" sail first as it will likely give you all the power you need for a solo, and if not, it offers the ideal learning progression. All WindPaddle sails come with an owners instruction manual, and a carry a Manufacturers lifetime warranty (excluding normal wear and tear).